Courtesy of Channel Swimming Association, English Channel. 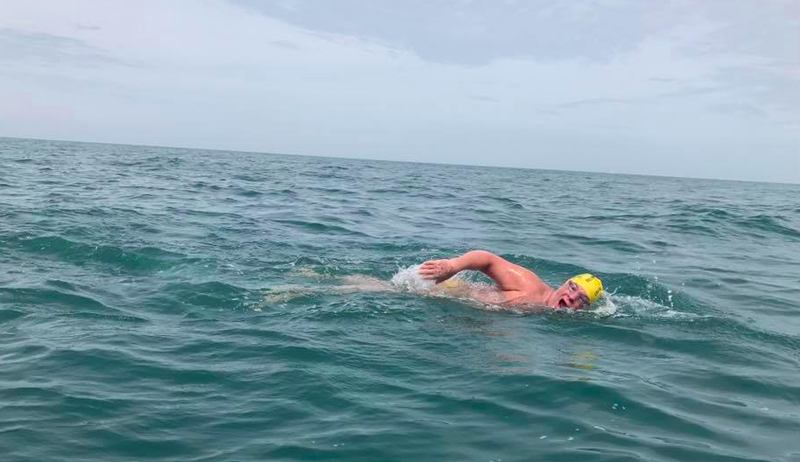 Lynton Mortensen started his first summer Down Under in his native Australia earlier this year - and then moved northwards to finish his second consecutive summer of charity swimming. After completing the Rottnest Channel Swim and Strait of Gibraltar in 2016, the 53-year-old lawyer started to rev up his 2017 charity swims with a second consecutive 19.7 km Rottnest Channel Swim in Western Australia, finishing in 8 hours 28 minutes. 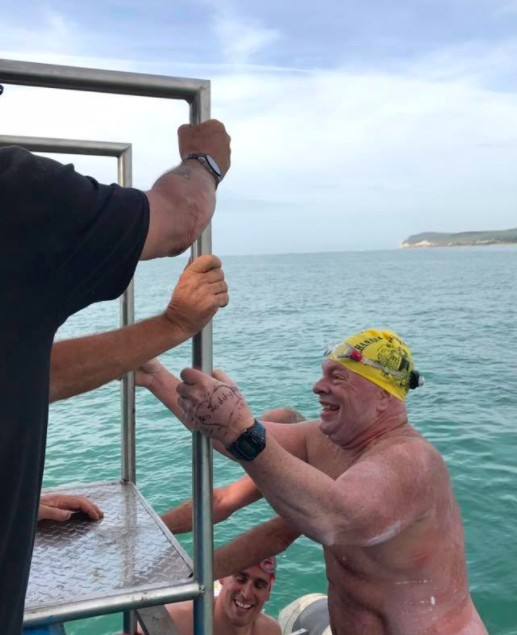 Then he continued with a 25 km Port to Pub swim in 9 hours 46 minutes. He then headed up to the Northern Hemisphere and completed a crossing of the English Channel in 12 hours 35 minutes on June 30th, followed by a a crossing of the North Channel from Northern Ireland to Scotland in 13 hours 49 minutes, a mere 18 days later. The 53-year-old lawyer then traveled over to New York and finished third in the 45.8 km 20 Bridges Manhattan Island Swim around New York City in 7 hours 18 minutes on August 19th. 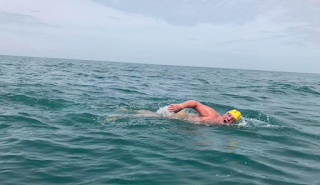 He finished his fourth Oceans Seven channel within 12 months and completed the Triple Crown of Open Water Swimming within 3 months when he swam the Catalina Channel from Catalina Island to the California mainland today in 13 hours 59 minutes. "I limped across the finish line, it was painful to watch," recalled Mortensen about his walk upon the Southern California shoreline. Perhaps he slowly and painfully cleared the water perhaps, but he did it for sure - it was two consecutive summers in the Southern and Northern Hemisphere to remember. The HBM Lawyers Managing Partner has been raising money for the Children’s Hospital Foundation in order to help hospitalized children in need and their families. Funds support lifesaving childhood cancer research and purchase of vital new lifesaving equipment for the children. For more information on Mortensen's charity swims, visit here. To view the individuals who have completed the Triple Crown of Open Water Swimming, visit here.